I’ve finally finished Wuthering Heights. I say “finally” because the evil transmogrified in Heathcliff made me almost constantly want to run away from the book. Surely Heathcliff must be one of literature’s most loathsome villains. I was pulled in, however, and made to persevere by Emily Brontë’s gift of writing. I think telling the story from the longtime housekeeper Ellen’s – or “Nelly’s” – point-of-view was quite masterful. Housekeepers have a particular up-close-and-personal perspective on the goings-on in a household, and can be quite the subtle influencers. I can understand why this book is one of the classics of literature. Juxtaposed against the absolute evil of Healthcliff is the fragrant yet stark and savage beauty of the English Moors. I have never visited but feel as if I know them now, have been properly introduced to them because of Wuthering Heights. I have been pelted by its rains and buried up to my ankles in the wet bogs. I have seen its angry skies and have watched them clear to fresh indigo. Wuthering Heights caused me to cringe and shy away from Heathcliff’s cruelty and caused me to long for the walks to be had in the beautiful wildness of the Moors. For context, please view these photos of the Moors. 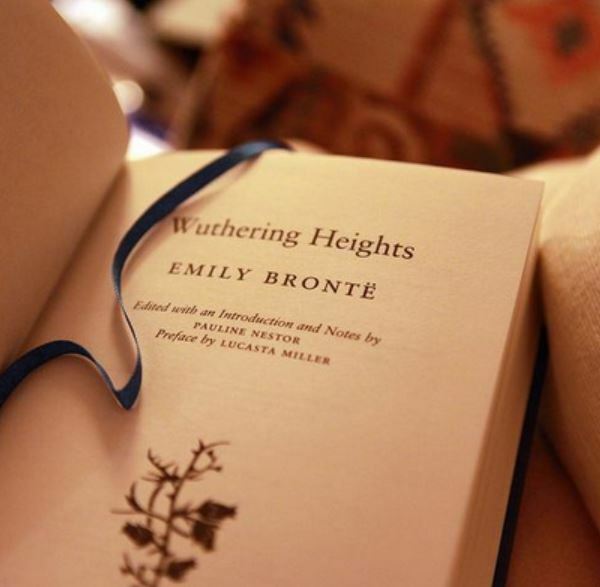 This entry was posted in Books and tagged books, books for travelling, cruelty, Emily Brontë, English moors, exploration, Healthcliff, literature, travel, UK, Wuthering Heights. Bookmark the permalink. Aquileana, the interior (and exterior) of the house in the video is just as I imagined it in the book! Thank you so much for sharing! You write beautifully. I need to reread this book. It’s been too long. Jacqueline, this is so kind of you. Thank you! Even though it’s been awhile, do you remember how vile Heathcliff was? Wow. Such effective writing!